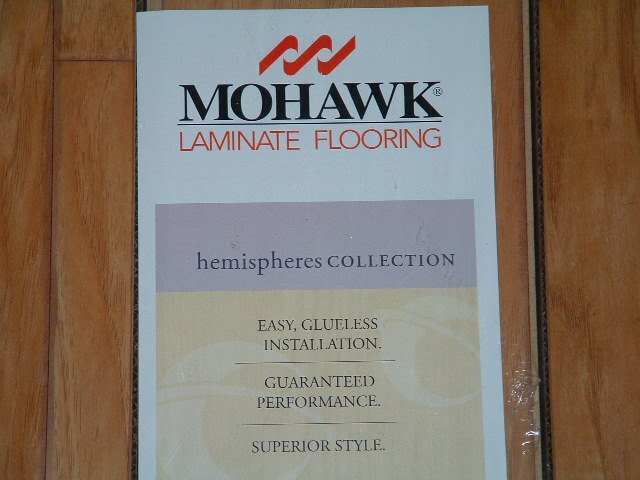 This is my Mohawk laminate flooring review, Hemisphere Collection. I have installed quite a bit of Mohawk laminate flooring. 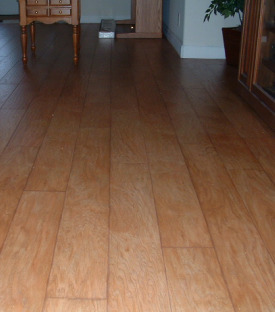 Mohawk laminate is a high quality flooring. Mohawk is a huge flooring producer, from carpet and hardwood to laminate flooring. In 2005 Mohawk bought Unilin Group of Belgium. 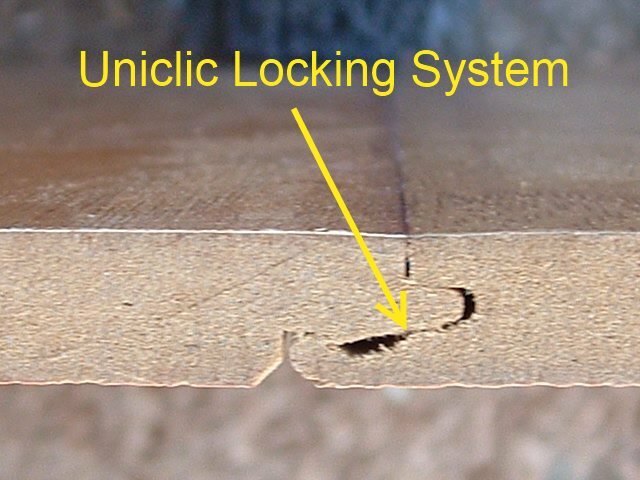 In doing this they acquired the uniclic locking system, which in my opinion greatly improved the quality of their laminate flooring. Although the quality is outstanding, the cost is a little high. I have seen prices ranging from the mid 3 dollars to over 4 dollars a square foot. 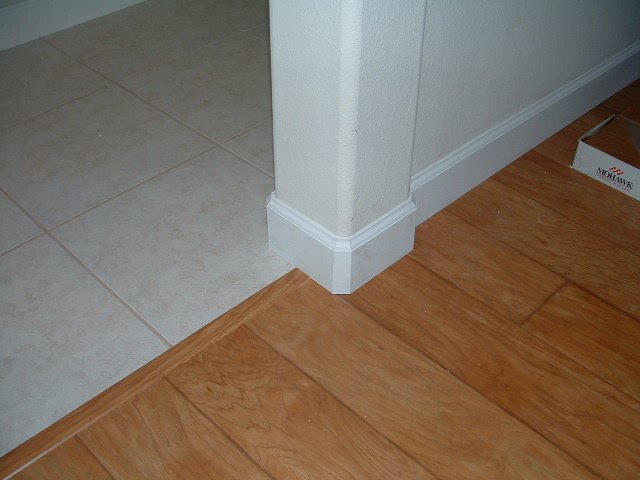 If money isn't a factor and you like this flooring, it is worth buying. In this photo is a job I installed in Zephyrhills FL. This Mohawk laminate looks like the real thing. This particular product is from their Hemisphere collection, color:natural pecan, 9.5mm thick and 6 1/8 inch wide. It cost a lot less then hardwood and is easier to install. All four edges on this floor have a bevel. Mohawk has not always been a good choice. I installed their product back in 03 and 04. Their locking system back then was totally different. I went back on one particular job at least 4 times to fix end joints that separated. I would highly recommend this laminate floor. 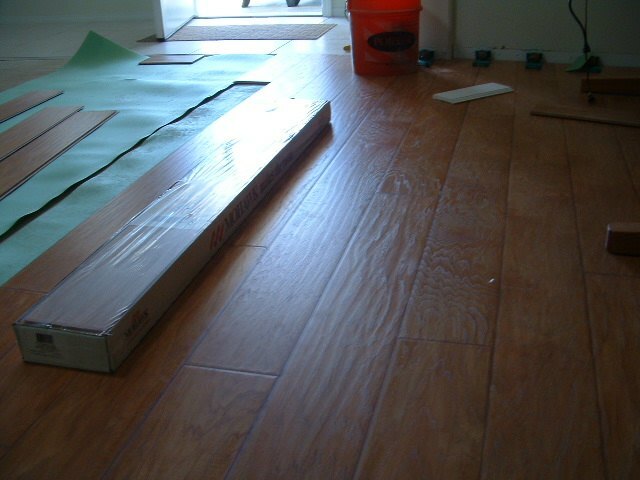 This laminate flooring really looks sharp when the base board is installed. And the matching T-mold to bridge over the ceramic tile.